Opulent South Indian decor envelops you as you step into this restaurant in the Taj Coromandel, Chennai. 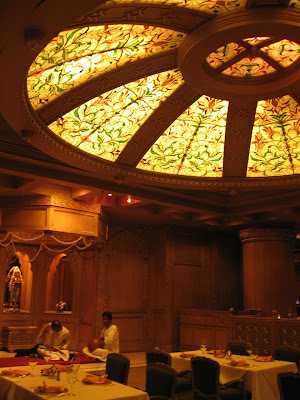 The floral patterns on the backlit dome in the ceiling grabs your attention immediately, as does the pretty Kanjeevaram saree-clad hostess and the shiny brass and silver tableware. I am shown to my table, as a trio of musicians settle down to entertain us with South Indian classical music on a jugalbandi of violin and ghatam. A loud squawk momentarily unsettles us. We turn around and see the astrologer - tarot cards and bored parrot in tow - for the Western tourist who craves for Indian exotica. It is 8 PM on a Friday evening and the place is still filling up. Before the Europeans discovered the Malacca Straits with their spice islands, much of these spices arrived at the Coromandel coast (India's east coast). They were then transported across land to the Malabar coast (India's west coast) before making their way to the Arabian kingdoms and the princely states of Europe. Romans valued spice so highly that pepper was used to pay off ramsons. And yet, even in 1 BC, the Roman knowledge of the spice route extended little beyond India's west coast. Ports in and around what is now the city of Chennai were a vital link in giving the Western world a taste of the spices of the Far East, but few outside India knew about the world beyond India's Malabar coast. So here I was, sampling the cuisine of region that had spices in their culinary creations much earlier than the rest of the world. Where locals lavishly spiced up curries of fish and pork when the Italians hadn't yet discovered the pleasure of freshly grated pepper on their pasta! The waiter was willing to combine half portions of two starters so I could taste as many of their delicacies. 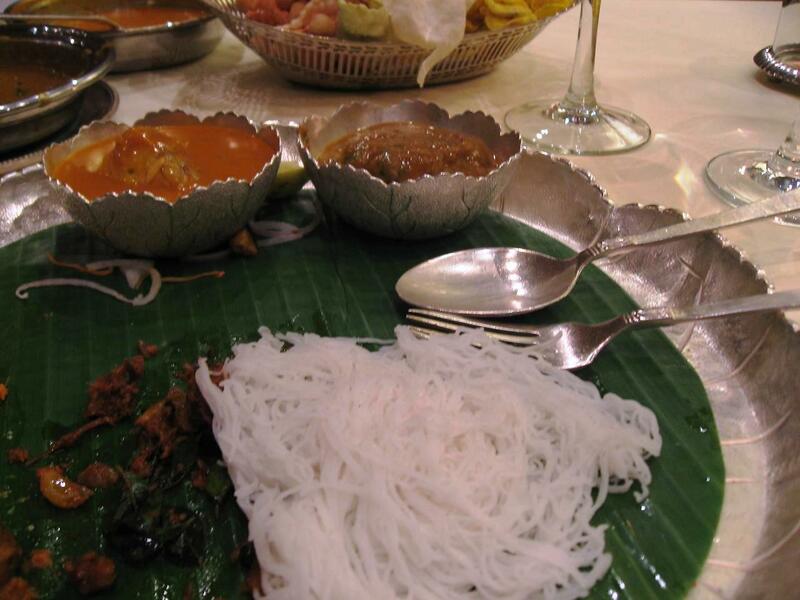 The Uslampatti Kari Sukka is a dry lamb preparation from the rural south of Tamil Nadu. Hot, spicy and exactly how I had hoped it would be. 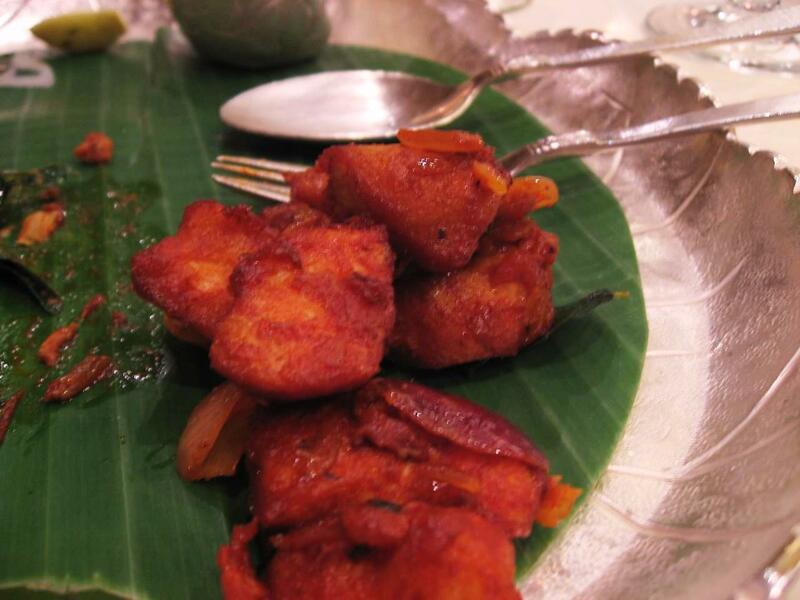 The Kori Chimbli are chicken nuggets in a spice mix which are fried and tossed with onions, curry leaves and green chilli. This dish was milder than the lamb but interesting and different. They served me some basundi in a little silver bowl which almost tasted like North Indian rabdi. There was the usual variety of papads and chutneys too as I waited for the main course. Meanwhile, the musicians had made may for a Bharatnatyam dancer. 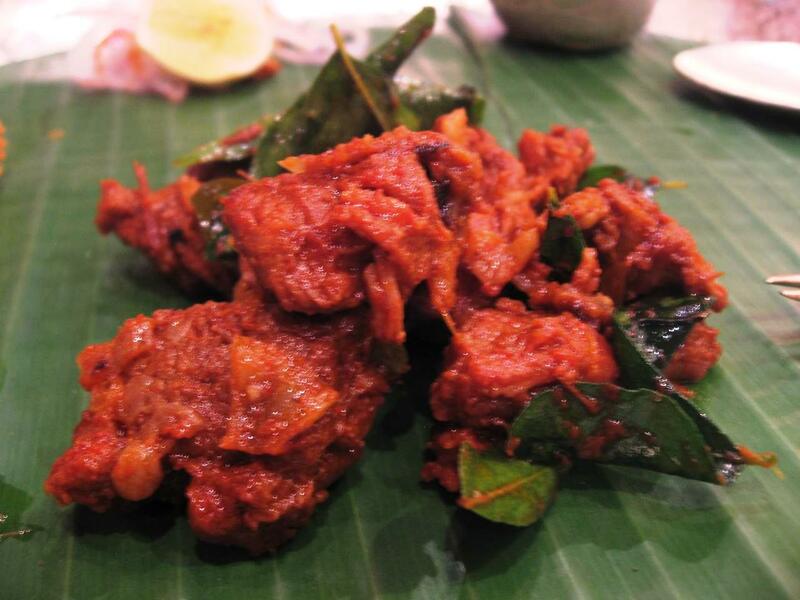 The Karaikudi Kozhi Seeragam, a cumin flavored chicken curry from the house of Karaikudi Chettiars, was excellent. Again a very different tasting curry that I liked very much. The Alleppey Fish Curry was good too, but not a new discovery. The Idiappam and Appam -which I used to soak up the spicy curry - were as good as they get. I finally ended with a rich dessert of Khubani Ka Meetha with a dollop of ice-cream, a nawabi dish from Hyderabad made of apricots. Within a couple of hours I had sampled delights from rural Tamil Nadu, coastal Karnataka, Kerala and Andhra Pradesh. Quite a delightful journey that! This restaurant has remained unchanged for 15 years as has been the menu. But that may soon change. The manager told me the restaurant was scheduled for renovation later this year and may re-emerge in a different avatar. I visited southern spice a long time back... and I still remember their starters. I think their starter menu far exceeds the main course variety! Now I am craving some lamb like the one in the pic! I discovered 'Khubani ka Meetha' when I went to Samarkhand in Bangalore for the first time. It is heavenly and have since tried it everywhere that I come across it. Nice write up. I'm a die hard fan of Taj and each time I'm there at any of tehir hotels I only end up liking it more. 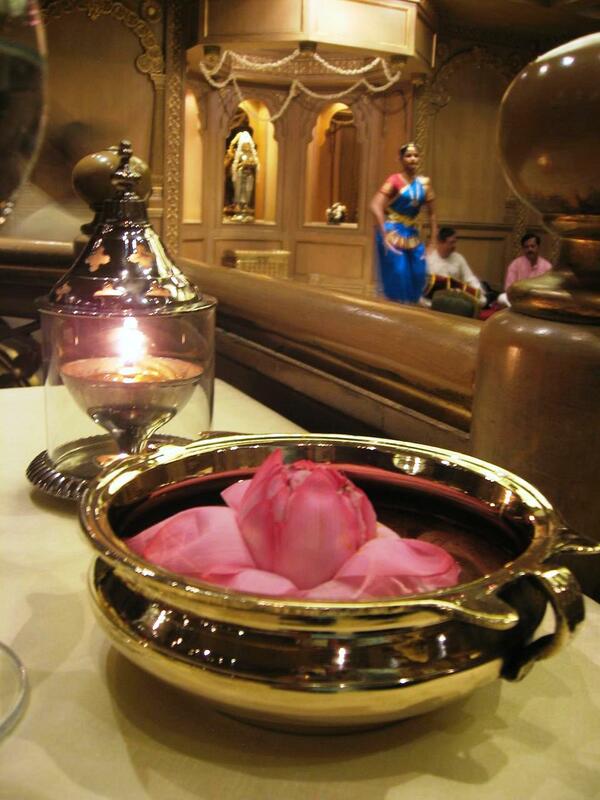 @Aathira: This was my first visit to this restaurant. I found everything delightful. @Sid: It is a little too sweet for some people. 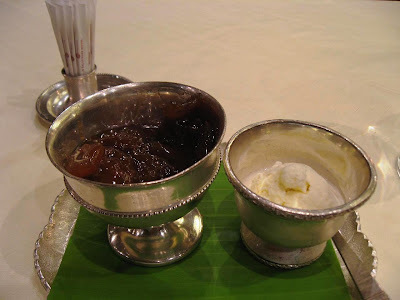 But if you combine it with whipped cream or ice-cream, makes for a royal treat! @Lakshmi: Apparently this restaurant - and the hotel - has a lot of fans amongst old-timers in the city. Ah, so that's what they call the parrot-fortune-telling? @Shalini: Oh yes, the service was impeccable. As usual a drool worthy post .. since I am headed down south .. I so look forward to great food!! Spicy food is totally my cup of tea and your post left my mouth watering!! hey shant, just warmed up reading your post, lovely, it is freaking wet and cold here! Check out those dips and herbs! Delicious. 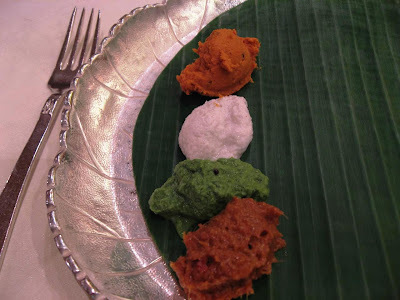 BTW, of all the regional Indian cuisines, which one do you like best? @Deepti: Thank you (and congratulations!!). @Beaverboosh: Good to see you here again. @kyh: Hey, how have you been doing? I've never been to this restaurant.. can anybody tell me a rough price of the menu? Or how much will it cost for lunch for 4? 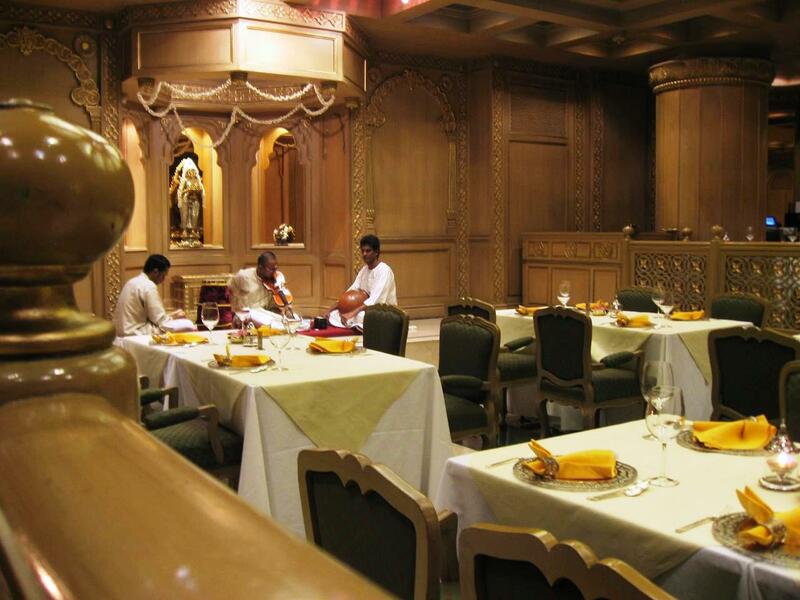 @jagdish: Dinner would be close to Rs: 1500 for two. Not sure if they have different pricing for lunches. Interesting post! but can you let me know if Southern Spice menu has the typical keralite appam- coconut milk combo??? @Anon: Can't say. It's been a while since I visited the place.